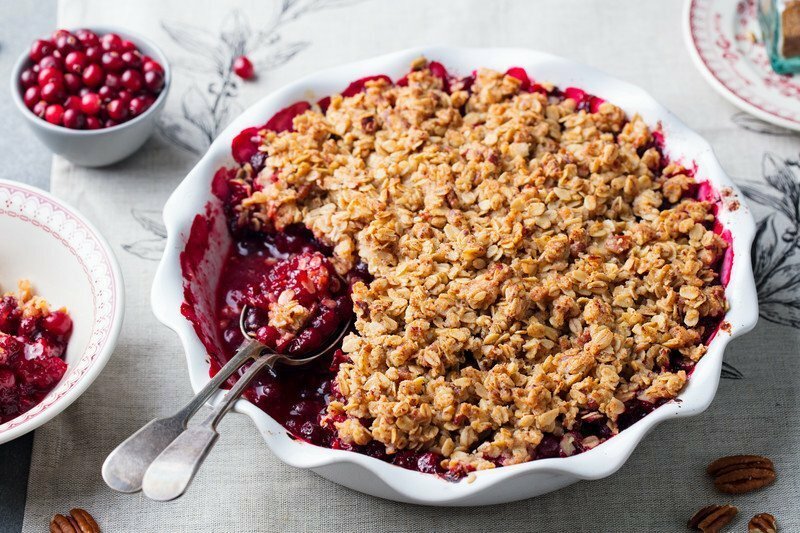 Very Berry Fruit Crisp Recipe - Registered Dietitian Approved! The berries, oatmeal, and whole wheat flour pack lots of fiber and antioxidants into this delightful healthy dessert loved by all! 1. Grease two 8 by 8 inch baking pans or one large 13 by 9 inch glass casserole dish with oil. Layer the berries in the pans. 2. In a separate bowl with a pastry blender or fork mix together flour, butter, oats, brown sugar and cinnamon until blended into a crumbly mixture. 3. Spread this mixture over the berries. 4. Bake at 350F for approximately 30 minutes or until done. Looking for more healthy eating recipes? Sign up for our weekly newsletter for a healthy recipe of the week (and nutrition articles and videos with a balanced living philosophy to help encourage healthy habits but still save room for your favorites). Our nutrition newsletter is written by the Calgary nutritionists / online dietitians on our team who each hold a professional Registered Dietitian license to ensure you are getting credible advice. Click here to sign-up for our free weekly nutrition newsletter: Nutrition Newsletter by our Calgary Dietitian team.